cavan-st-columbas -- Erected | By MARGARET (?) NEILL of Bally__ne (?) 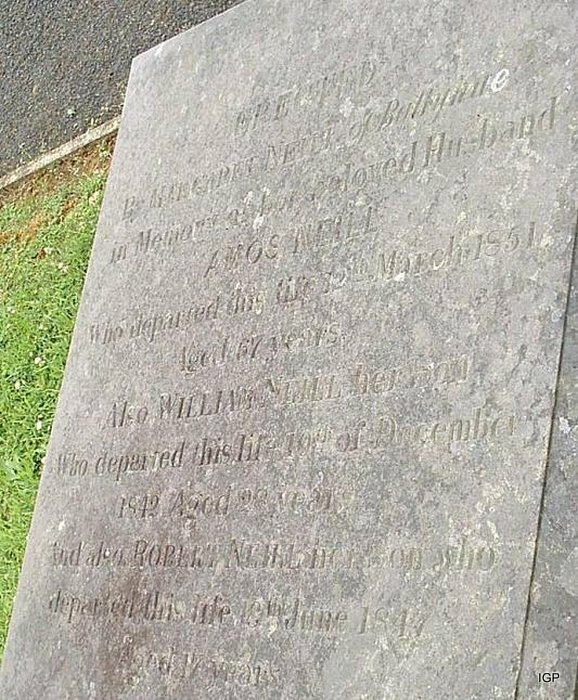 | in Memory of her beloved Husband | AMOS NEILL | Who departed this life 12th March 1851 | Aged 67 Years | Also WILLIAM NEILL her son | Who departed this life 10th of December | 1842 Aged 28 Years | And also ROBERT NEILL her son who | departed this life 18th (?) June 1847 | Aged 17 (?) years.